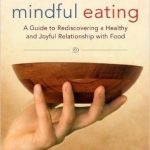 My five favorite books to bring you sunshine! There are a few books I have read in my life that I find myself recommending time and again to people. These are the books that I think can make a real difference to how to see and live life. With summer coming and time to read and think I hope you enjoy my selection of 5 books for greater happiness in life. Jonathan Haidt draws on ancient wisdom, philosophy and modern psychology to describe what they all agree are the things most likely to make us happy in life. 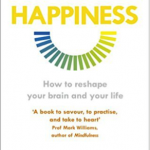 This provides a well-written and engaging manual on how to improve your experience of living. Best of all his style is easy to read and understand. 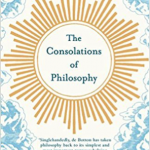 The Consolations of Philosophy: Alain de Botton. De Botton is a philosopher for modern times who has turned his attention to many of the difficulties of our lives; mood, love, work, religion, status anxiety and even architecture. In this book he explores the ancient philosophers and draws out wisdom which holds true across the centuries in an accessible and engaging style. 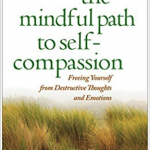 Dr Germer is an american clinical psychologist who alongside Dr Kristen Neff has pioneered much mindfulness work in the area of developing self compassion. I use this book to help me with overly self-critical thoughts, thoughts that I am not good enough and with just allowing myself to be human and vulnerable! It helped me understand what self-compassion looks and sounds like. Rick Hanson is a clinical psychologist who draws on personal and professional experience and his research in neuroscience. This book provides practical strategies to overcome the tendency of the mind to focus on the negative in life and build up our capacity to “take in the good”, however tiny in our day to day lives. I love it!